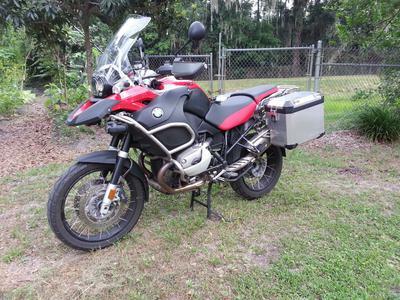 The 2009 BMW 1200 GSA GS Adventure for sale always been garage kept and never ridden on a dirt track (I'm a little embarrassed to say that but..). All of the mileage was logged on open roads during long trips. I just replaced all four (OEM) spark plugs, air filter (OEM), oil filter (K&N)and filled it with Mobil 1 full synthetic engine oil. An extra oil filter and any oil that is left, and gear/transmission oil for you to change comes with the sale. It has the two, original metallic cases keyed to the engine that can be removed with the same key. Go here to see more . The Adventure is in mint condition with no scratches no dents no problems with anything. 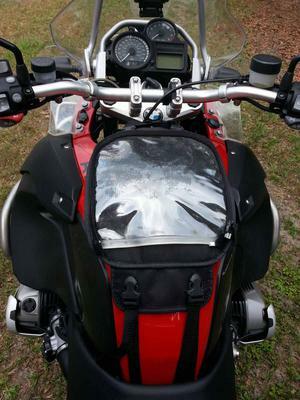 It has ABS, Electronic suspension (EPS), fog lights, heated grips, and factory engine and body guards. 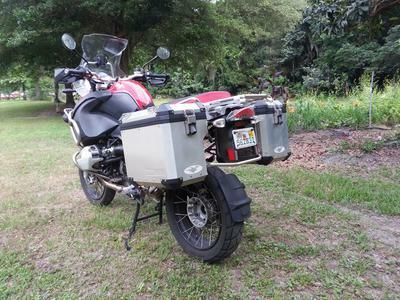 It has extra blinking LED tail lights (braking), an extra mud guard, throttle lock (cruise control), and a big tank bag that has a transparent plastic top to hold your ipad or whatever. It comes with two factory plugs to accommodate your heated gear and an extra 12v cigarette adapter. I will include the phone adapter that I used to keep my garage door opener as well as a recall notice letter that provides extra warranty on the tank gas sensor/fuel gauge; all this for $6500! 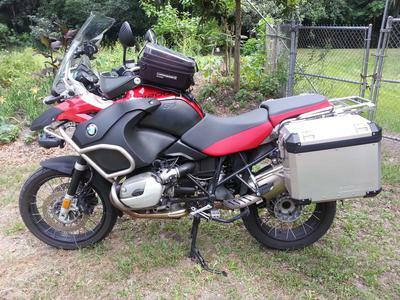 For more information and pictures of the 2009 BMW 1200 GSA GS Adventure for Sale please contact me using the comments form provided by GoGoCycles Used Motorcycles for Sale.